If you are looking to gain muscle and bulk up but don’t have a ton of money to put into the effort fear not I am hear to give you some tips that will help you bulk up and gain more muscle on a budget! Spend You Money On Food Not Supplements! So What Foods Can I Eat To Bulk Up On a Budget? The very first thing i want to tell you is that you do not need to spend a ton of money on supplements. About the only thing you need is a good whey protein powder, some BCAA and a good multi-vitamin. An optional supplement would be creatine which is pretty cheap. Shop around online and look for the best deal on the supplements i prefer shopping at amazon since they have good prices and free shipping. 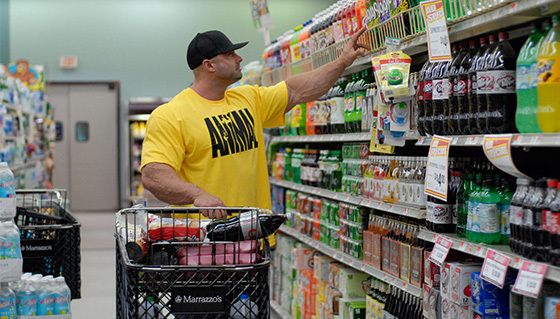 The first thing you want to do when bulking on a budget is stick to foods that offer the most bang for the buck! Foods that are high in protein, calories and good carbs are what you are looking for. A few of my favorites are down below. You may think of more but these are pretty much my staples that i use each week. For example i will take 1 lb of ground beef, some brown rice, a can of red beans and some broccoli and make this recipe total cost is under $10 and it will last a few days. Also make it a point to go to stores like Aldi that offer off brand name products at very low prices. You would be shocked at how cheap Aldi has oatmeal, whole grain bread, olive oil, peanut butter and some other basics like canned red beans. The savings really add up quickly when buying multiple items! I hate looking through coupons but its worth it, and they will really save you money on the days when you can double coupons up. These are the times i will but some of my staples in larger quantities and stock up on them. It will only take you an hour or so to look through and clip coupons so just do it! For example go to the grocery store around closing time and Ask the manager if you can get rotisserie chickens at a discount if you buy 3. Chances are he will offer them to you at a lower cost because they will generally discard them after closing time. I often get 3 chickens for $3 each, cut them up and freeze what i wont need. Honestly it just takes a little effort and creativity to keep you bulk up diet affordable. It might take a few weeks to get used to but once you have it down you will be happy at how affordable eating to gain muscle can be!